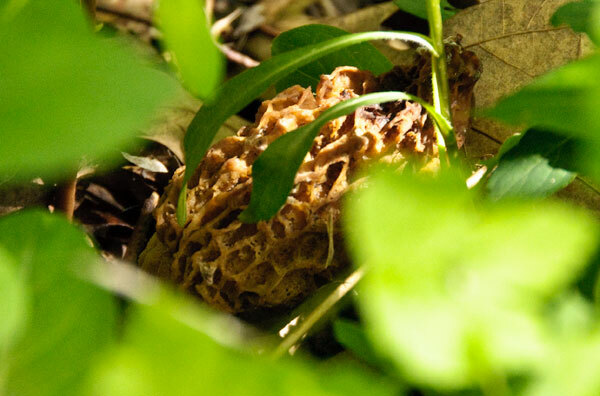 Yesterday might have been my last morel hunt of the season — or more precisely, the last productive one. 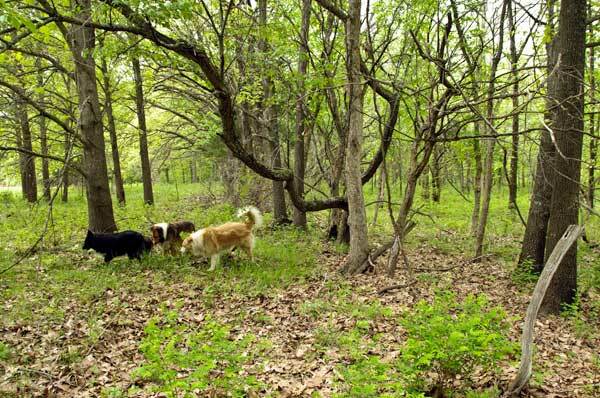 I found some, though all but two were so far past their prime that I left them out in the woods. In my youth, when my vision was sharper, and I was agile enough to bend and examine a patch more easily from all angles, I might have spotted those particular mushrooms on an earlier hunt when they were still worth gathering. My most reliable patch lies beneath the spread of a line of old trees that grew up decades ago on an old fenceline. 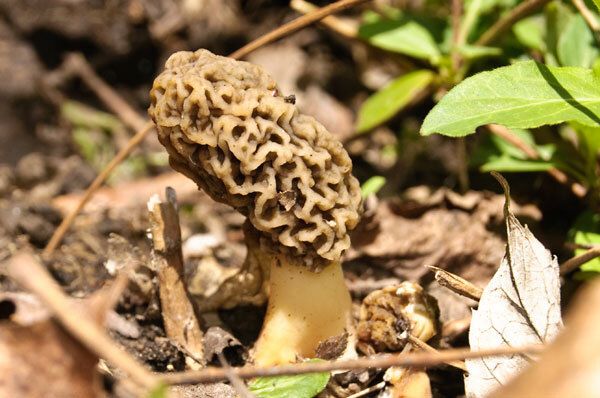 It’s been nearly a week since I found the last yellow morel there. We still look, though, the dogs and I, and we’ll give it another week because you never know. Stragglers have been known to pop up late. 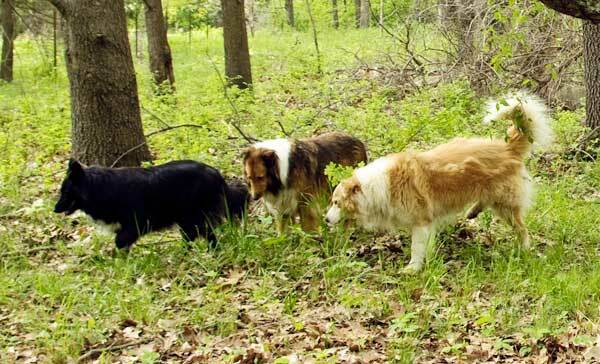 The dogs don’t actually look for mushrooms. I think they find my interest baffling. They’re willing to go along with the game though because other interesting things lurk in the leaf litter. Mice. Snakes. Big bugs. I let them have the mice, snakes, and bugs, and they try to step carefully around my morels. My other favorite spot usually lasts a bit longer, so I did find some there yesterday. Last week I gathered a pound over there, including this lovely cluster. Sometimes they’re a little crooked. Sometimes they’re well hidden beneath the spring foliage. You catch a brief glimpse then spend ten minutes working your way through the underbrush, thorny vines, wild roses, and exposed tree roots just to reach them. You get close, pull back the foliage and see . . .
That it really wasn’t worth the trouble because this one’s way past nasty and old. You leave that one there and wish you’d seen it days ago when it looked fresh and appetizing. 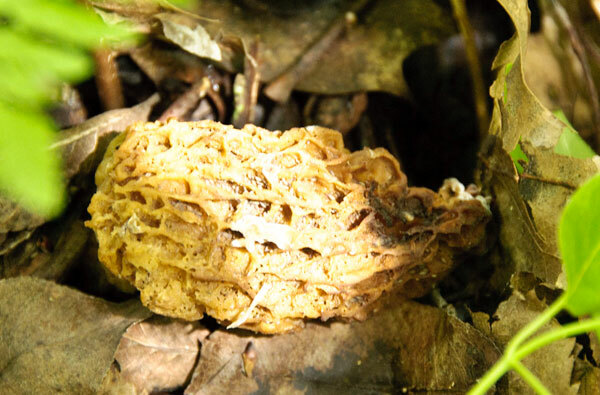 Speaking of appetizing, I like to soak morels in saltwater for a few hours to get rid of whatever insects were hiding in the crevices of those sponge-like tops. I’ve heard old-timers say that changes the flavor, and maybe it does. Nevertheless, I’m sticking with the bug removal program. After soaking, I rinse carefully and thoroughly, drain in a colander and remove any grit, debris, or bad spots. 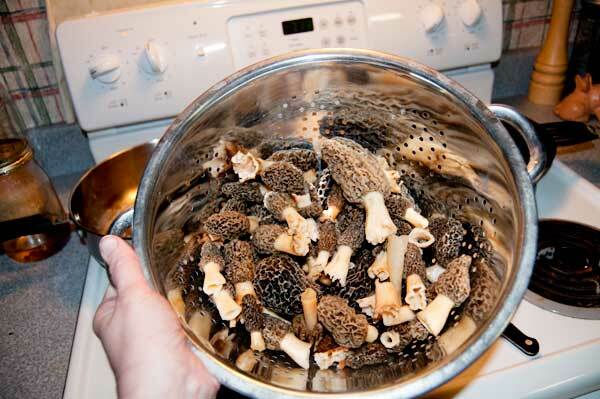 I used to dip morel halves in egg batter, then seasoned flour, before frying in a skillet. 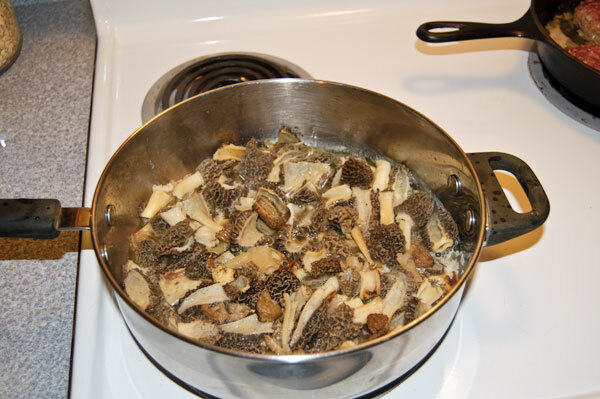 Fried morels still rank high on my list of best foods ever, but these days I prefer to simmer them in butter. They’re delicious on burgers, steamed asparagus, in scrambled eggs, and just about anything else that normally goes well with butter-cooked mushrooms. 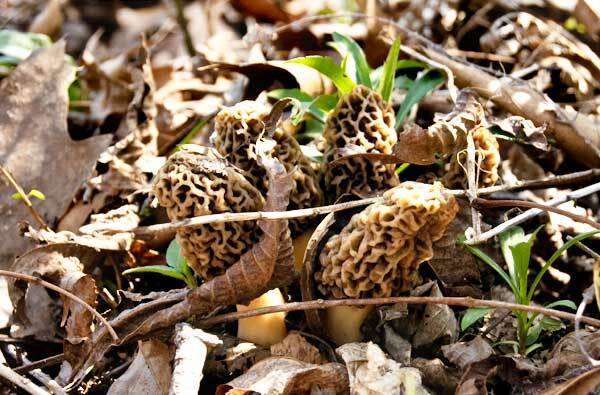 I’d show you a few pictures of the plated food, but I tend to lose all rational thought when the morels are cooking. I just stand close, plate and fork handy, and dig in as soon as it’s all cooked. I’ve heard some people have more control around their morels. I’m not convinced. How could that be possible? Maybe you need a pet morel hunting pig?